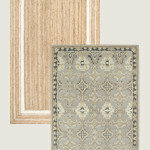 Cashel Beams and Flooring has been able to capture the essence of an era long since passed. We specialize in reclaimed wood, dealing mainly in heart pine and oak. We source our wood from large industrial buildings, barns, tobacco warehouses, cotton gins, just to name a few. Cashel has a wide selection of flooring, beams, stair parts, mantels, tables and other various furniture pieces already crafted, or custom made, from our home to yours. Call or email us today and let us bring this rich history to your home. Floor City USA prides itself on providing our customers with the best possible selection and pricing on flooring in the Pensacola area. We work very hard to make sure that the customer service you receive goes beyond expectations. We appreciate the opportunity to assist you in designing, selecting, and admiring your finished flooring, bathroom or kitchen project. Whether you're looking for indoor or outdoor flooring, an awesome backsplash, a fancy fireplace, or a magazine-worthy master bath, your satisfaction is of the utmost importance to us. 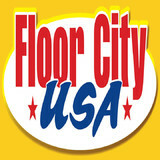 Certainly, many factors combine to make Floor City USA Pensacola's favorite flooring store. We offer many of the brands you've come to know and trust because they offer the style, quality, and value you're looking for. We offer an incredible selection--regardless of your budget. We are a friendly, down-to-earth team of everyday people that strives to make your shopping experience a pleasant one. We're also very helpful, knowledgeable, polite, and sincere. Jazz Properties LLC specializes ECO FRIENDLY and SUSTAINABLE flooring and decking solutions. Sustainable Earth, animal, & HUMAN life is the core of Jazz Properties LLC. 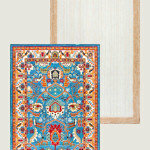 Our mission is sustainable and responsible living without sacrificing luxury and/or individual style! 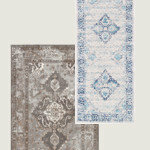 *Authorized Dealer of Shaw Floors* Could your floors use some updating? At Gene's Floor Covering II Inc, we believe that the right flooring can shape the look and feel of any space. As an established flooring contractor in Greater Gulf Shores, AL, our goal is to consistently offer our customers high quality flooring and impeccable service. Updated flooring is a worthwhile investment in any home or business. When you work with a flooring contractor from our team, you'll get a knowledgeable, dedicated professional who will take the time to understand your needs and present you with a variety of options. Whether you're looking for high-end flooring or have simpler tastes, we're prepared to work within your budget and timeline so that you come away satisfied. As a customer of ours, you'll benefit from: -A wide range of flooring materials and products -Quality workmanship -Prompt, reliable service To set up a consultation with a flooring contractor from Gene's Floor Covering II Inc, call us today. *Authorized Fieldstone Cabinetry Dealer* Established in 1991, ProSource Wholesale® is the industry leader when it comes to understanding and meeting the unique needs of trade professionals and clients. We serve builders, contractors, remodelers, installers, interior designers, architects, real estate professionals, and more —providing exceptional offerings you won’t find anywhere else in the industry. ProSource goes all-out to exceed the needs of our trade pro members, no matter how big or small the project. We offer a staggering mix of name-brand home improvement products — and we make them available at the lowest possible prices, thanks to our extraordinary buying power. Seeing is believing—that’s why it makes sense to visit our flooring warehouse before deciding on any one product. Whether you’re looking for rich, classic hardwood or stylish and durable tile, you’ll discover a wealth of materials at our shop. Locals know they can depend on us for the finest selection of floors, cabinets, and other essential furnishings. Along with families, our flooring showroom serves the flooring needs of trade professionals. Designers, construction crews, and Realtors of every background depend on our showroom to provide the supplies they need. Become a member of our exclusive association for trade professionals and discover how we can help you build your business and satisfy your clients. Troendle Hardwood Floor Company was originally opened in 1908 in New Orleans, and then opened in Pensacola in 1988. We cater to all your hardwood flooring and staircase needs such as supplying materials, installations, repairs, refinishing, waxing, and cleaning. All Flooring needs on the Gulf Coast since 1965! Creative Flooring of Pensacola, Inc.
*Authorized Dealer of Shaw Floors* Take a stroll through our showroom and explore our many products and brands. We carry Area Rugs, Carpeting, Ceramic/Porcelain, Flooring Accessories, Laminate Flooring, LVT/Vinyl, Specialty Floors, Wood Flooring, and more... Our courteous staff is always available and ready to serve you. Call or visit us today! 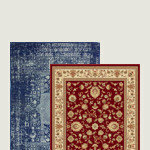 Floor Covering, including Carpet, Hardwood, Tile, Laminate and more. Rouse Wood Flooring exists to provide the best service and attitude at every project at every site. We strive to create finished projects that have a lasting, positive effect for our clients. Call us for your next project today! 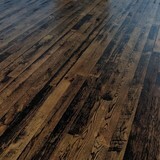 Hardwood Flooring sales, installation, repairs, and and refinish, hardwood floor damage, custom hardwood flooring, custom stain, borders, inlays. NWFA certified sand and finish installer. When you need to install or maintain hardwood floors, you can always count on the hardwood flooring specialists at Tropical Woods & Flooring for affordable and high-quality services. What kinds of services do hardwood flooring installation professionals in Montrose, AL provide? Find hardwood floor experts in Montrose, AL on Houzz. Search the Professionals section for Montrose, AL hardwood flooring installers and dealers or browse Montrose, AL photos of completed installations and look for the professional’s contact information.